Roll-up, roll-up! HEXUS, in partnership with MSI, is giving one lucky reader the chance to win a GeForce GTX 760 Twin Frozr Gaming Series graphics card worth over £200! This award-winning card is factory overclocked to 1,020MHz and offers an enviable balance of speed, quietness and cooling. It is, in our estimation, the perfect fit for a high-end gaming PC, and we're giving it away for free! Featuring NVIDIA's latest GeForce GTX 760 GPU with 2GB of high-speed GDDR5 and PCI Express Gen 3, the MSI GTX 760 Gaming also comes with the exclusive MSI Gaming App tuning utility which enables gamers to instantly switch between Overclocking, Gaming, and Silent modes. In addition, MSI's proprietary Flow Control technology, dual over-sized 10 cm fans, and patented Propeller Blade technology perfectly complement the Twin Frozr IV's impressive cooling performance. With a core temperature of just 71°C and noise level at a mere 22.81 dB under full load, the GTX 760 gives gamers unparalleled gaming performance and stability. MSI is also proud to highlight that its Military Class components are now in their 4th generation of development, delivering longer service life and better stability than ever before. The exclusive Predator audio-video capture software allows gamers to easily record and share their gaming highlights with friends. In terms of both software and hardware, every single feature underscores MSI's continued commitment to the gaming market. To win the MSI GeForce GTX 760 Twin Frozr Gaming Series Graphic Card simply answer the question below. Hint: you can find the answer on MSI's official product page. The competition winners will be picked at random from all eligible entries that arrive by midnight of the closing date, August 20, 2013. 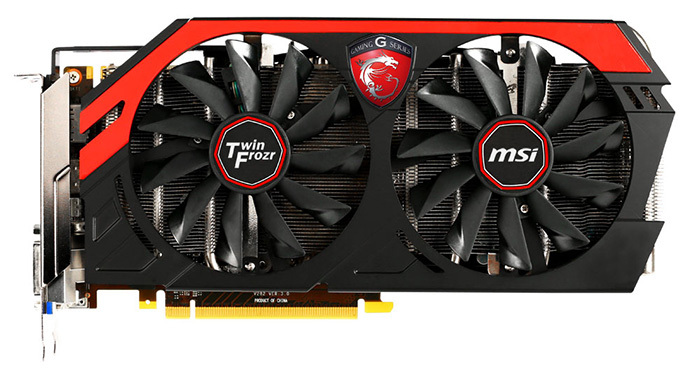 The prize is a 2GB MSI GeForce GTX 760 Twin Frozr Gaming Series graphics card. What!!! It's the second only uk… Why? Yay! If i win this. And the asus bundle. Ill have a triple 760 monster. Woohooo. Thanks again for another great comp Hexus.